Simplify reading VIN numbers by phone using this format. 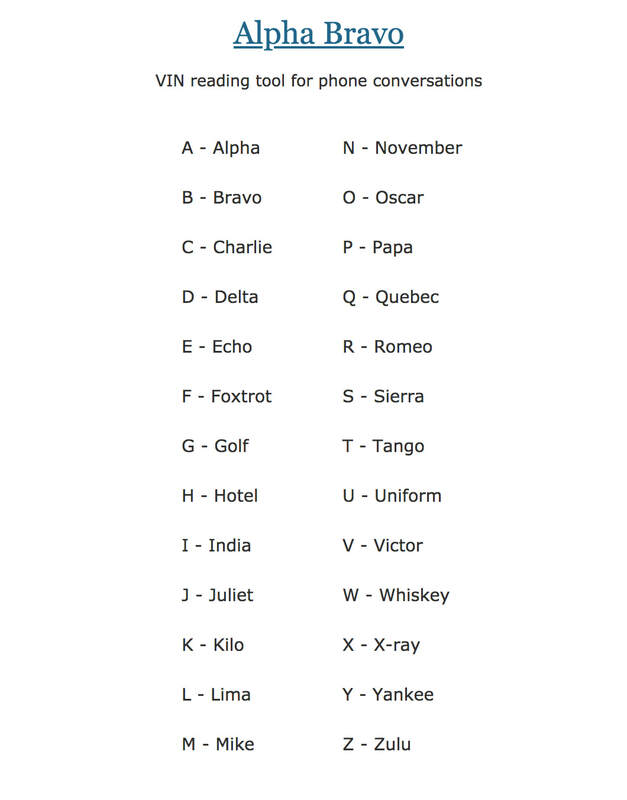 Instead of saying, "A like Alpha", simply say the phonetic word in place of the alphabet letter. For example, if the VIN number is 1J8GR48K67C687141, then say 1 Juliet 8 Golf Romeo 4 8 Kilo etc. It seems longer but actually speeds up the process because it reduces mistakes and prevents reading over and over.